What are the 3 most important steps to do before I buy a home? Be prepared to make a minimum cash down payment of 3 % to 5% of the sales price. What is a “first time” homebuyer? To be eligible for financing programs targeted for first-time homebuyers, most lenders in Maryland follow the U.S. Department of Housing and Urban Development (HUD) definition: a “first time homebuyer” is an individual who has not had an ownership interest in a principal residence (anywhere) for the previous three (3) years. Individuals who are separated or divorced and had an interest in real property during the previous 3 years may be eligible, if they can document that they did not live in the property during the immediate past 3 years. Those persons also must no longer have title to that joint property or will divest themselves of title to the property prior to closing. First-time buyers in Maryland who have never owned property in Maryland as a principal residence are entitled to a one-time waiver of the state’s portion of transfer taxes at settlement. 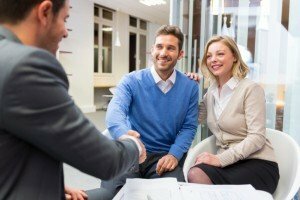 What is a “buyer’s agent”? A “Buyer’s Agent” is a licensed real estate agent who represents only your interests throughout the home buying process. A Buyer’s Agent assists the buyer in locating properties, evaluating them, preparing offers and negotiating the terms of an offer solely on the Buyer’s behalf. After the Seller accepts the offer to purchase, the Buyer’s Agent continues to facilitate the transaction for the Buyer through settlement. In Maryland, the commission for the Buyer’s Agent is typically paid at closing by the Seller. A written agreement between a Buyer and a real estate agent is required to establish the relationship with a Buyer’s Agent. What is the difference between down payment and closing costs? Down payment is a percentage of the purchase price of a home. Lenders require that borrowers must invest a certain percentage of the purchase price in the home. It is an assurance to the lender that the borrower is willing to make an equity commitment (investment) to the property. Today, most mortgages require a minimum down payment of at least 3%, often 5% to 20%, depending upon the loan type and terms, with the mortgage financing the balance of the purchase price. The down payment is paid at closing. Closing costs are the other, non-down payment costs, paid at closing or settlement. Closing costs include the total costs and fees associated with closing a loan, including property taxes, state and county fees, lender fees, and the first year’s hazard insurance premium. Although closing costs can be substantial, especially for first-time homebuyers, Buyers and Sellers may negotiate for the Seller to contribute towards the Buyer’s closing costs at settlement, depending upon the terms of the mortgage and the policy of the lender. 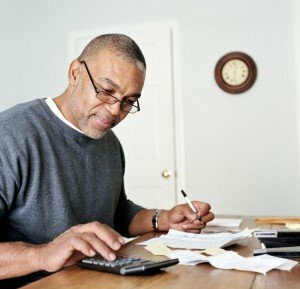 What is APR and why is it different than the interest rate on my mortgage loan? “APR” means “Annual Percentage Rate,” the number that informs the consumer of the total costs of the loan, expressed as a yearly percentage rate. APR takes the total cost of credit into account (including the interest rate and all lender fees financed over the term of the loan). APR can never be lower than, and is almost always higher than, the stated or advertised interest rate on the mortgage loan. Within reason, the APR is a tool that allows you to compare different types of mortgages based on their total cost. APR can never be lower than, and is almost always higher than, the stated or advertised interest rate on the mortgage loan.